Hi y'all. It's the official end to our July VLV challenges and I'm here to announce the big winner! Thanks to all who played along, it's such fun peeking into your blogs and galleries throughout the month! Send an email to contests@vervestamps.com to receive your $100 e-gift voucher to the Verve store. I'll be back in the morning with our first August challenge. Until then, here's a look back at this month's challenges, plus a last look at all of our July VLV entries! Thanks so much for playing along with us! 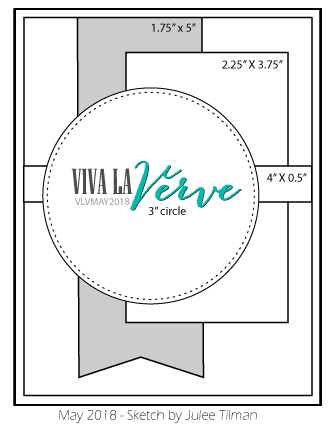 Follow Verve Stamps's board Viva la Verve! Sketch Challenge on Pinterest.